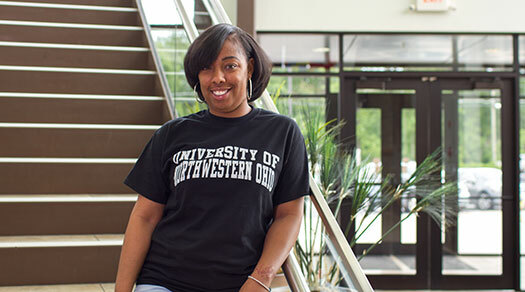 The University of Northwestern Ohio’s Healthcare Administration degree is designed to provide you with a solid foundation in the core disciplines of healthcare administration and management. The world of health care is changing at an unprecedented pace as the large baby-boom population ages and people remain active later in life. By the year 2024, there is expected to be a 17% increase in Healthcare Administration, adding more than 73,000 jobs to the workforce. Healthcare administrators plan, direct, and coordinate medical and health services. They might manage an entire facility, a specific clinical area or department, or a medical practice for a group of physicians. They also must implement changes that conform to changes in healthcare laws, regulations, and technology. The Healthcare Administration degree at UNOH is designed as a 2 + 2 program. After you complete an Associate’s degree at UNOH in Medical Assisting, Medical Office Management, or Health Information Technology, or transfer in any health-related associate degree, you can then complete your Bachelor’s Degree in Healthcare Administration. This approach gives you both hands-on training and the business skills necessary to be a manager in the Healthcare field. 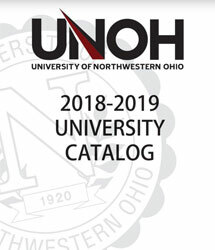 *Percentages are based on surveys of our 2013-2015 academic year healthcare administration bachelor degree graduates who reported they are employed or are continuing their education within 6 months of graduation from the University of Northwestern Ohio. There was a 62% response rate to this survey.